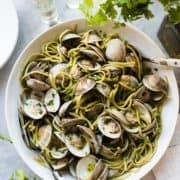 If you live outside the Bay Area and you’ve been following this blog, you may think that San Francisco foodies spend a lot of time at tastings and fabulous food and wine events. Well, for the month of August, that is quite possible. 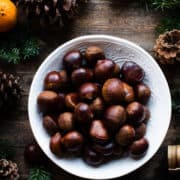 The truth is, there are a lot of food and wine-centric events all over the Bay Area this month, and it can definitely be intense, particularly for those who spend their time professionally involved with food. Events such as Taste of the Nation Napa Valley, SF Chefs 2010, the SF Street Food Festival, and Oakland’s Eat Real Festival (to name a few) are enough to make anyone’s belly ache! I like to consider Bay Area food lovers lucky, as long as they remember to pace themselves. 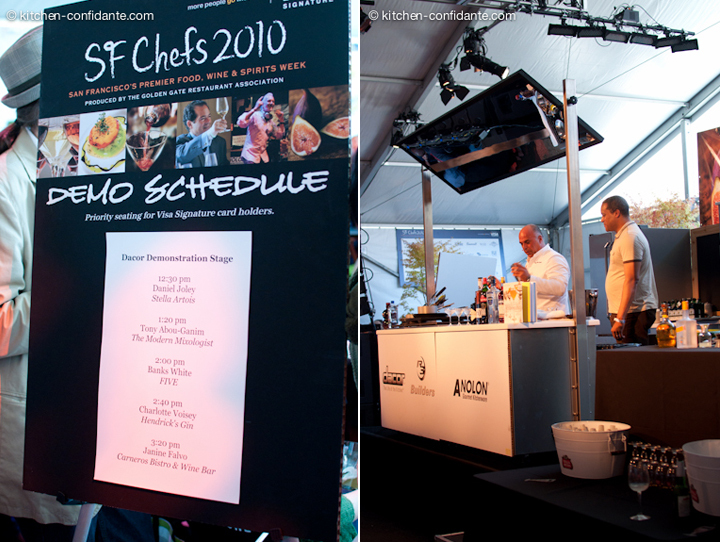 Of all of these, SF Chefs 2010 is perhaps the most anticipated and celebrated. 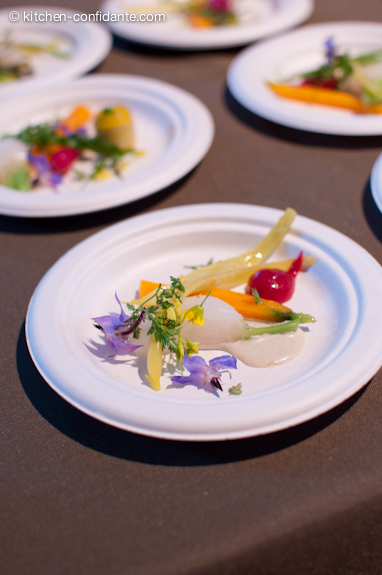 Some have called the event San Francisco’s answer to the Aspen Food & Wine Classic, and for it’s second year, the event was expanded to a week long extravaganza to celebrate the local and regional flavors of the Bay Area. The list of participating chefs, restaurants, wineries, mixologists and sponsors reads like a culinary Who’s Who, and it’s a fantastic way for both food industry professionals and food and wine enthusiasts to share and learn their way around some of the Bay Area’s best culinary talents. It is also a great way to support the Golden Gate Scholarship Foundation. 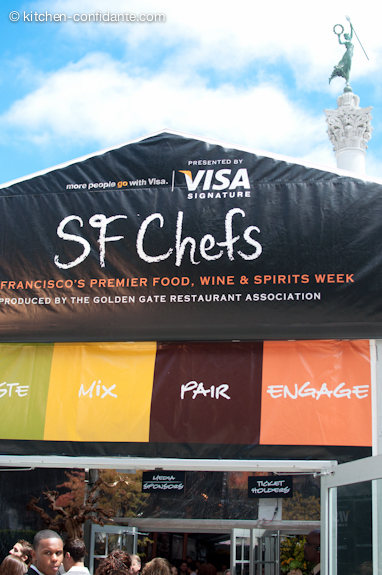 There were industry seminars (I’ll post about one next), demos at Macy’s and Williams Sonoma, a variety of classes, SF Chefs showcase menus during Restaurant Week, happy hours and after parties. And of course, Grand Tastings. 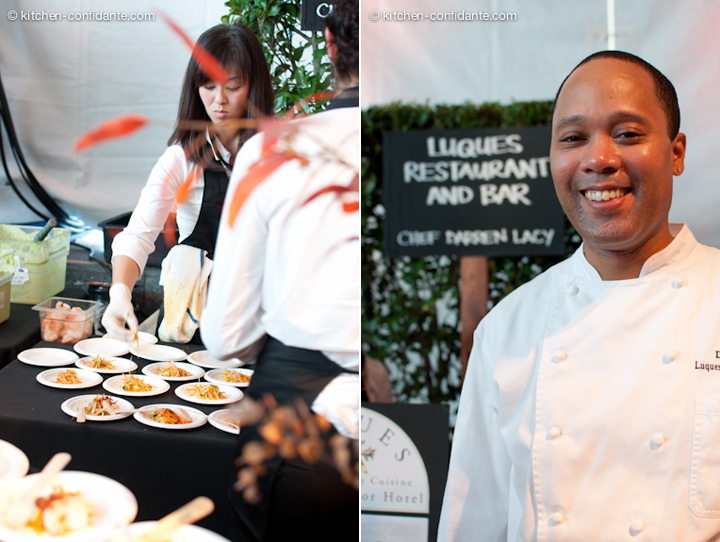 Thanks to the folks at POM Wonderful, I was able to attend the Saturday Grand Tasting at SF Chefs. What a fete! Upon entering the massive tent, the chilly SF “summer” weather became a distant memory as I was enveloped in a what felt like a greenhouse of food and wine. 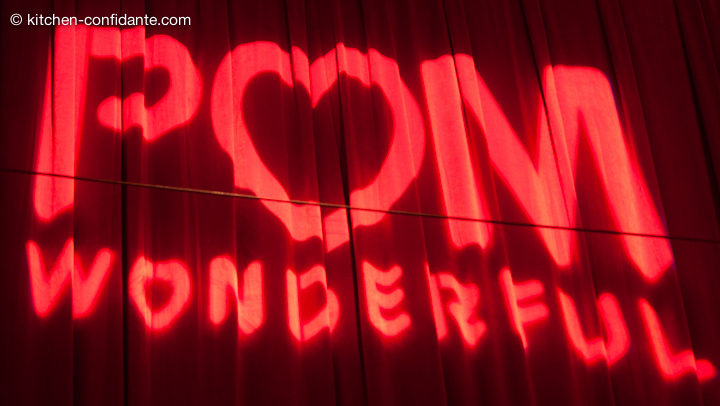 I fought the crowds to my first stop: POM Wonderful’s Double Bubble Lounge. 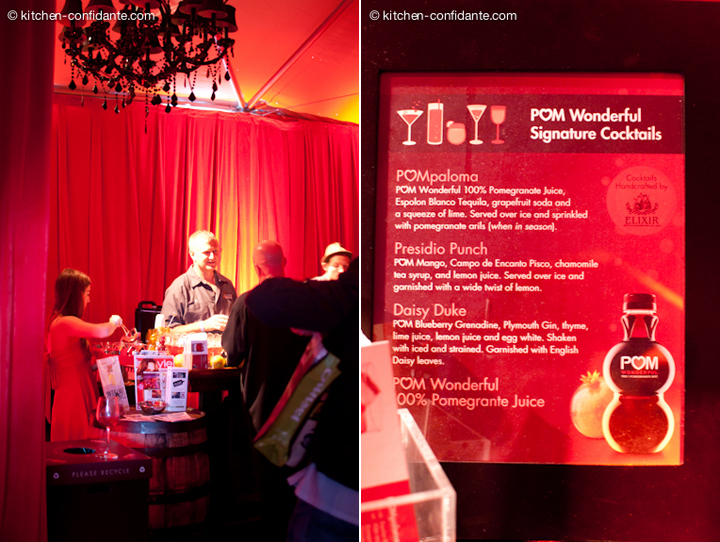 I was really eager to see their space at the Grand Tasting, and to taste the POM-inspired food and drinks! After having so much fun contributing to the POM Summer Menu Series, I couldn’t wait to see what the experts created. The Double Bubble Lounge was uber-swanky and draped in red velvet — a great space to hide from the massive buzz of the big food circus. 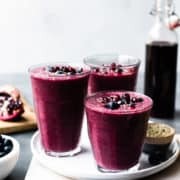 POM did a really amazing job creating a hip vibe, and partnered with a few San Francisco restaurants to create some of the best tastes at SF Chefs. I promise you that I am not saying this because I am biased – I truthfully believe that everything I tasted in the POM lounge was absolutely delicious. Chef Hugo Campos from Bar Adagio created a Roasted Pork with POMegranate Mostarda and Chipotle that was absolutely fantastic. 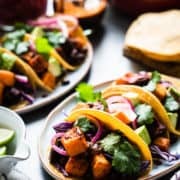 Tender shreds of pork glistening with a glaze of POM and chipotle delivered the perfect blend of sweet and savory to your taste buds. And I absolutely fell head over heels in love with the POM Panna Cotta with Pink Peppercorn Brittle that Chef Ryan Barnett of Cafe Andree created. Velvety smooth and with the tang of buttermilk, I could have eaten a whole bowl. 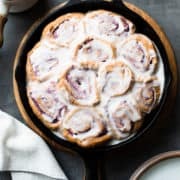 I will definitely be making this dessert very soon, and have included the recipes for both dishes at end of this post. 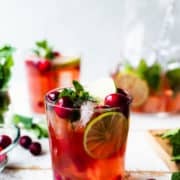 A funky lounge would not be complete without some cocktails, and mixologist H. Joseph Erhmann of Elixir Saloon created several thirst-quenching POMegranate cocktails. You can find his recipes here. 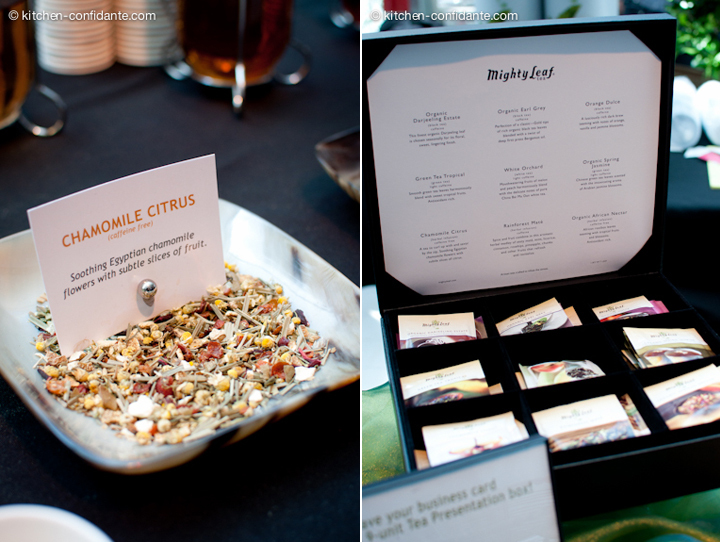 With those delicious POM tastes and potions in my belly, I was energized and ready to explore the rest of SF Chefs. An audience was captivated by the energetic Tony Abou-Ganim. 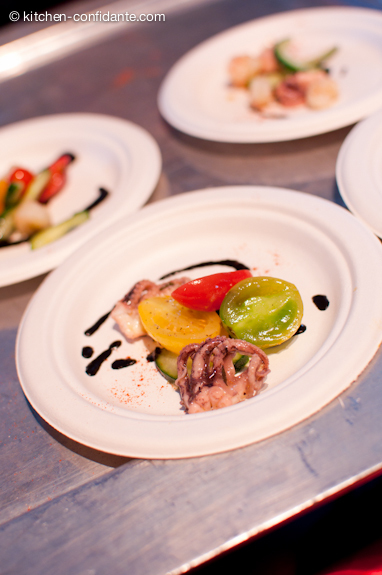 There were delicious bites from over 25 participating restaurants. These were some of my favorites. With over 30 wineries, and a good number of distilleries and breweries, it was refreshing to find some non-alcoholic beverages. The iced teas from Mighty Leaf provided much needed relief from the hot tent! 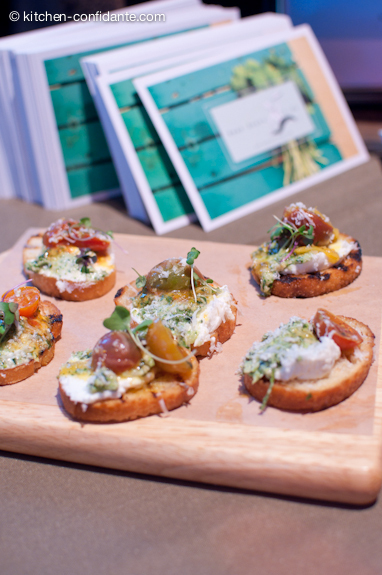 There were all forms of bruschetta at SF Chefs 2010, and understandably so, as crostinis are perhaps one of the easiest vehicles to deliver bites in a tasting setting. But some did it better than others. Chef Ryan Scott of Ryan Scott 2 Go (you may also recognize him from Top Chef: Chicago) offered a Pickled Cherry Tomato Bruschetta with Goat Cheese & Broccoli Rabe Pistou that set off little flavor fireworks in my mouth. The goat cheese was perfectly smooth and tangy, there was a lovely zing from the tomato, and the pistou just rounded out the flavors perfectly. Fantastic. 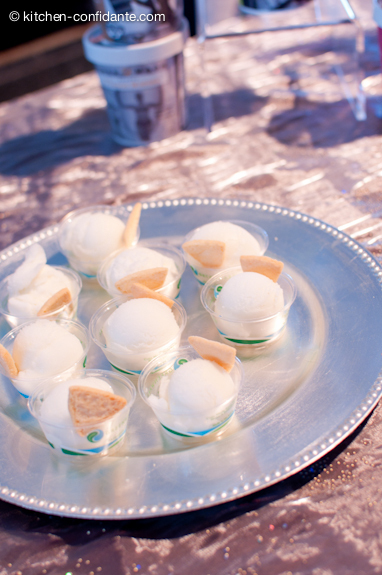 Sheri Tate, the creator of Silver Moon Desserts, offered the sweetest and most refreshing taste of the day: her newly released Lavender Limoncello Sorbet, served with a homemade Lavender Cookie. Her delightful sorbets and ice cream combine the freshest dessert flavors with sublime liqueurs, and she was a joy to meet, as well. 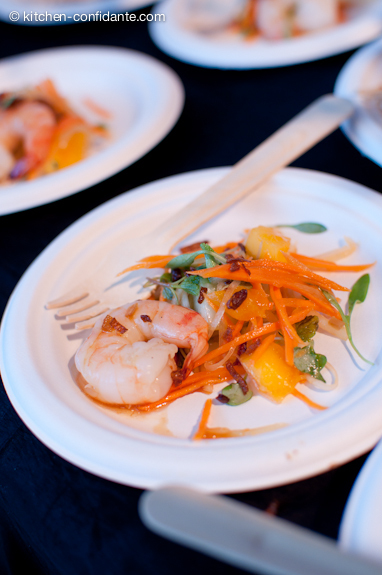 The Thai Style Grilled Prawn Salad created by Chef Darren Lacy of Luques Restaurant was perfectly balanced. 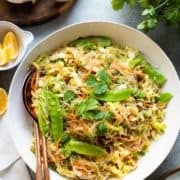 The prawns were succulent, the vegetables crisp and lightly dressed, and the crisp fried shallots added the perfect crunch and smokiness to round out the plate. The team behind Luques Restaurant worked so hard to dish out their tastes as quickly and beautifully as possible. 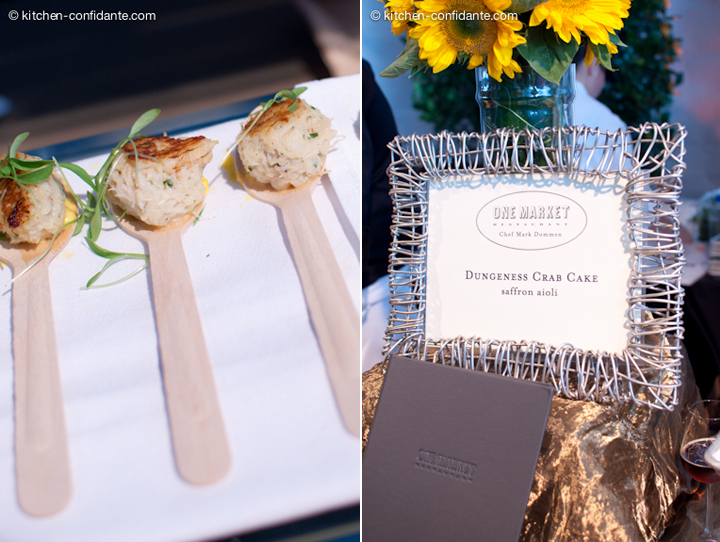 And finally, spoonfuls of quintessential San Francisco: Dungeness Crab Cakes with Saffron Aioli by Chef Mark Dommen of One Market Restaurant. Chef Dommen assembled armies of wooden spoons carrying tender morsels of dungeness crab; the light but perfect seasoning truly showcased the crab perfectly. Have these tastes inspired you? I do hope so! 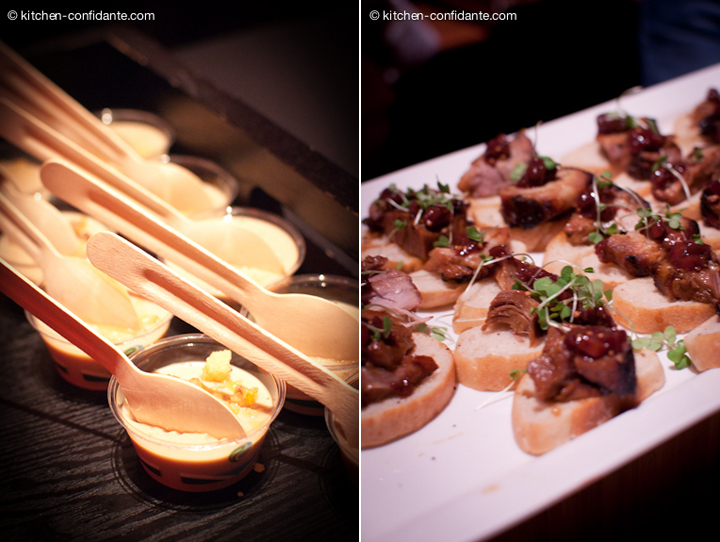 Here are some recipes that will give you a taste of SF Chefs 2010 in your own home. Bring all ingredients except salt and pepper to a boil in a large pot. 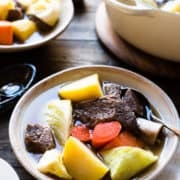 Reduce heat, and simmer until fruit is very soft and sauce reduces, about 2 hours. Let cool slightly. Refrigerate overnight. Sprinkle gelatin over 3 tablespoons of POM, allow to set for 10 minutes. Meanwhile, reduce 1 1/2 cups POM by half with the orange zest and sugar, remove from heat. Add gelatin mixture to pot and stir until dissolved. Add orange juice, cream, then buttermilk. Strain through fine mesh strainer. Lightly spray 6 6-oz ramekins with spray oil. 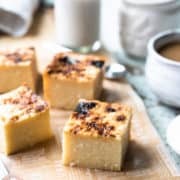 Divide panna cotta evenly between ramekins and chill for at least 4 hours, chilling overnight is recommended. All of this food looks delicious! When I read the recipe, I thought the same thing! 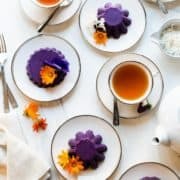 All these years, I’ve been intimidated by panna cotta – this recipe, we all can do! This looks like such a great time! Thanks so much for sharing all the awesome pictures! You are right about August – there is a ton going on in the Bay Area! There really is! I wonder if there is anyone who manages to attend them all? I am SO jealous. I wanted to go to this so badly but couldn’t afford it. Alas, I shall live vicariously through your blog. Aw, I hope to have captured it well enough for you! Tickets are definitely pricey, that is for sure!! I could have eaten a gallon all on my own – it was SO, SO hot in that tent! 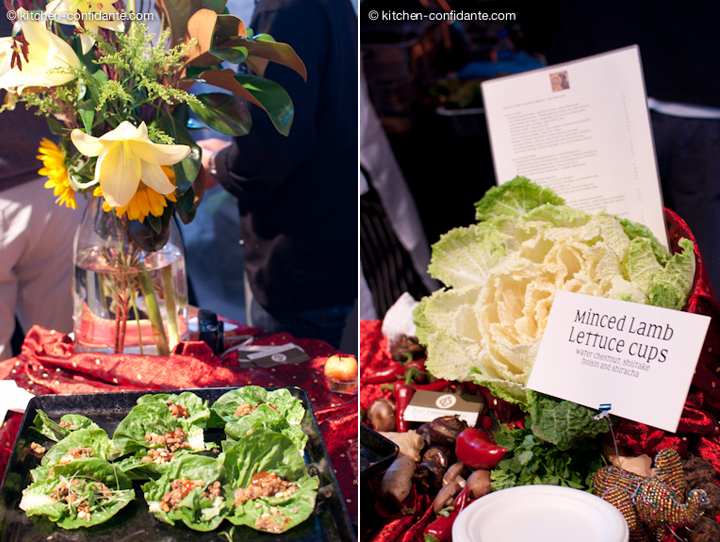 This must have been a fabulous event for anyone to attend that loves food and wine. I am glad that you were able to go! 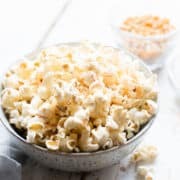 This post made me so hungry! What a wonderful event and so lucky of you to have been able to witness (and taste) it all. Thanks for sharing. 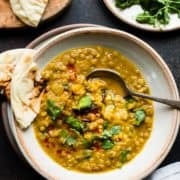 I am feeling full just reading through this post! It all looks/sounds like so much fun. The Goat Cheese/Broccoli Rabe Bruschetta and White Gazpacho would have been my faves. Thanks for letting us live vicariously through your travels! 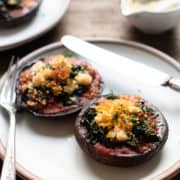 Debi, I have the recipe for the Broccoli Rabe Pistou! Here you go! Bring a large pot of water to a boil and add 2 tablespoons of Kosher salt. Add the broccoli rabe and cook until tender, about 7 minutes. Drain and transfer to a bowl of ice water to stop the cooking; drain well. With the motor running, drop the garlic into a food processor and finely chop. Add the broccoli rabe and pine nuts and pulse until finely chopped. Add the mustard and blend well. While motor is running, drizzle in oil. Transfer to a small bowl and stir in the Parmigiano. You captured the dishes so nicely. Wasn’t the Pickled Cherry Tomato Bruschetta with Goat Cheese & Broccoli Rabe Pistou amazing? Thanks for sharing. Thanks, Trish! I agree – that bruschetta was one of my favorites of the day. It was definitely my husband’s most favorite! What an incredible week, eh? 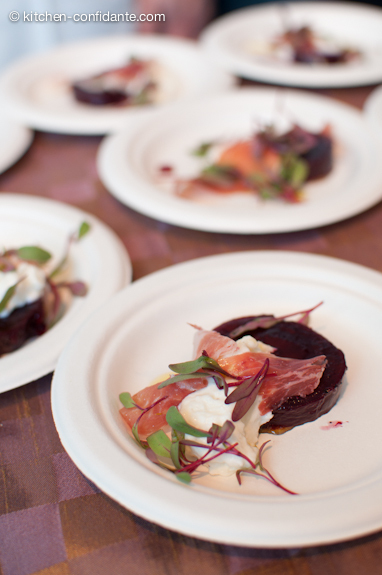 I’m so glad you got to go to the cheese and wine pairing – it sounded amazing! That looked like a great event! I can’t wait to get on that plane to SF, it do seem like the perfect city for food lovers. Maybe we can meet up while we are there? You will LOVE it out here! We should definitely plan a meet up when you guys come! I think my favorite part of these events, aside from the tasting, is definitely chatting with the people behind the table and learning their stories behind the food and wine. So much to learn. Kuddos Liren, just an awesome job! Traveled to the SF area for the first time in June and absolutely fell in love AND I had no idea about this event, which is spectacular! 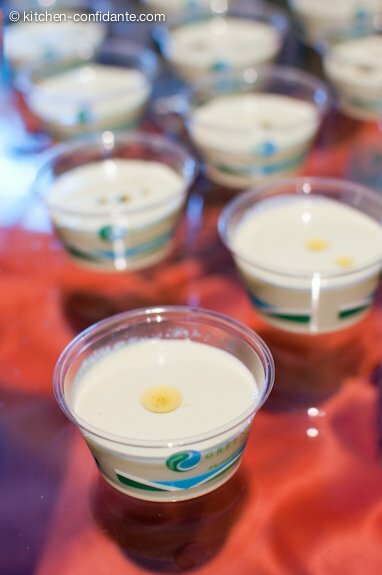 Thrilled you were able to attend and even better than you’ve shared a couple of these recipes with us – Panna Cotta? One of my very favs! Thanks for the recap, Liren. I’m so bummed we weren’t in town for this. Looks like y’all had a great time. Lots of great food!! Ah, you were savoring blue crabs and the Eastern seaboard! Plus you made it back for Pistahan – I’m glad you were back in time for that! Next year, I’ll have to make it for that event! Awe, so glad the wonderful POM folks picked the right food blogger to attend. Glad you had a ball, Liren! The dungeness crab would have been my favorite! You are the sweetest, Chandara, thank you! I did have a ball – the dungeness crab was perfection. Really. Thanks everyone! I am so glad you enjoyed the photos of SFChefs – it was such a unique and exciting event! I so wanted to capture the energy and excitement, and of course, the food behind it all. Liren, thanks for this! I may be going and the most important thing to ask you is: Any suggestions for shoes ;-)!